Does moving home seem like an overwhelming task to you? Too much to do and not enough time to do it? Can’t get hold of any of your friends to help with the move on that day? Worried about the heavy-lifting involved? If this is you, then you should call Moving Service, one of the leading removals services in Chingford, E4 at 020 8746 4402 for assistance. We offer removals services for home or office relocation and a trained crew that will execute the process smoothly and safely. For many years, we have accumulated experience in relocating residents in and around the area and know that not all our clients have the same requirements. 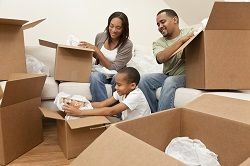 This is why when you contact us, we give you your own Chingford removals coordination team that will tailor make a moving service according to your needs, time and budget. We also realise that moving houses brings a lot of additional expenditure to your account, so we try to keep our prices reasonable without compromising on quality of service. Why don’t you get a quote from us for your removal needs by calling us at 020 8746 4402? We are sure that you won’t regret contacting us once you have compared our quotes and services to that of others nearby. 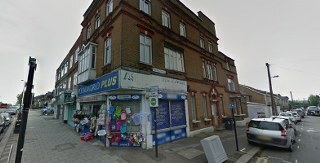 The town lies in the London Borough of Waltham Forest and covers the postcode district of E4. Located 10 miles from Charing Cross, it is a suburban Essex district that is served by many bus routes which link it to Walthamstow, Leyton, Loughton, Woodford, Harlow and Waltham Abbey. Its railway station is connected to Liverpool Street station in the City; nearby stations include Highams Park, Walthamstow and Blackhorse Road. The nearest Underground stations are Loughton, Buckhurst Hill, Blackhorse Road, South Woodford, Walthamstow Central and Tottenham Hale, all of which can be reached by buses. The North Circular road in the southern part of the district gives easy access to the north and east of London. Chingford is located near Epping Forest and has a lot of open green space in the vicinity. There is a good variety of local restaurants and pubs in the neighbourhood. Local attractions include Queen Elizabeth’s Hunting Lodge, a granite obelisk at Pole Hill, Old Town Hall, Pimp Hall Dovecote and Butler’s Retreat. Unfortunately, it cannot boast of a bubbling nightlife, but having Epping Forest right at your doorstep more than makes up for it. There are many who live here for its easy access to London, literally under 25 minutes or so. Moving to Chingford is a great idea, and the move should be, too. So let one of the best removals company in Chingford, E4 take care of all aspects of move for you. We, at Moving Service offer first class packing, transporting, loading and unloading services in addition to supply the best quality packing materials and goods-in-transit insurance. We know how much your possessions mean to you, this is why we make sure our moving crew is trained in handling all kinds of cargo, and that our vehicles are constantly monitored via GPS when in transit. If you don’t want to use our complete service, we also provide van and man for hire with the option of two or three extra men. Our customer service staff is extremely knowledgeable and friendly and will be glad to help you with any queries you might have about moving house in Chingford or our operations. They might also be able to tell you how to combine our service packages so that you can get a good deal on the move. So don’t hesitate to give us a call at 020 8746 4402 or to talk to one of our team in person. Moving Service is a house removal firm that has a top-notch crew that will get your belongings from A to B without any hassle or fuss. My latest move to Chingford E4 went smoothly. Easy financial transaction as well!